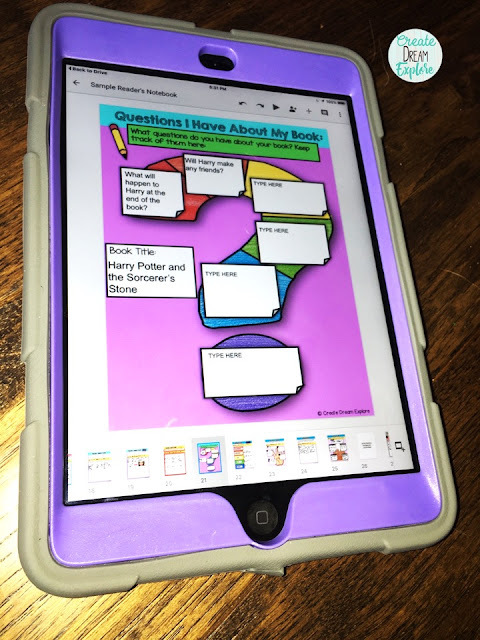 One of the core aspects of my reading program is reader's notebook activities. While I meet with small guided reading groups my other students are reading independently and responding to their text in their reader's notebooks. 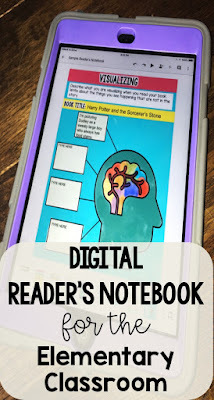 Reader's notebook activities promote metacognition (thinking about their thinking). 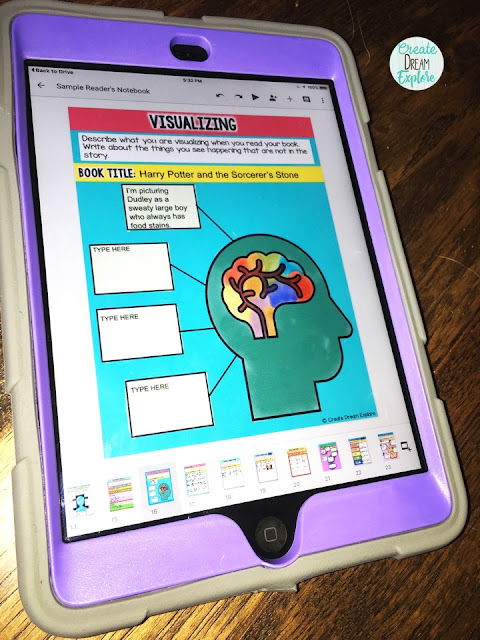 Maintaining a reader's notebook allows students to demonstrate open ended critical thinking about the texts they are reading. It also gives them a productive activity to work on while I meet with guided reading groups. My school recently got an influx of devices and I wanted to make use of them. 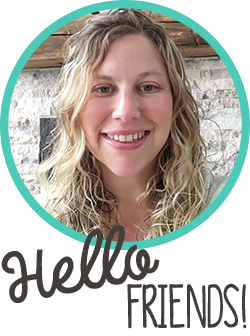 My district is a Google Apps for Education district which made this a no-brainer for me. 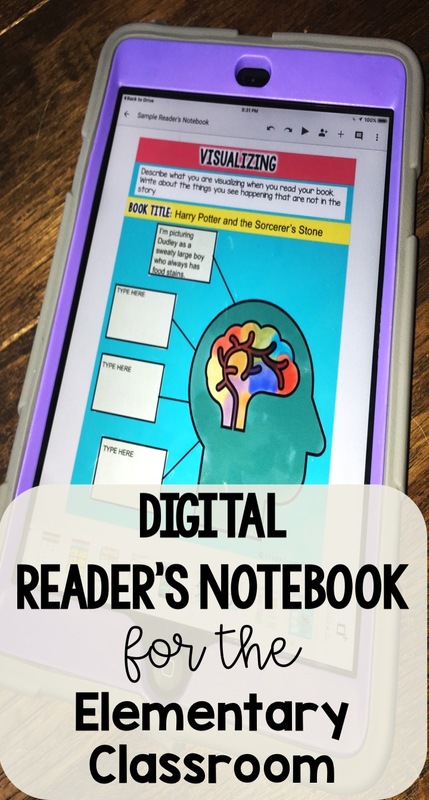 I don't have 1:1 devices and since students are all working at their own pace I knew a digital reader's notebook would work well. Some students are reading while others are responding. 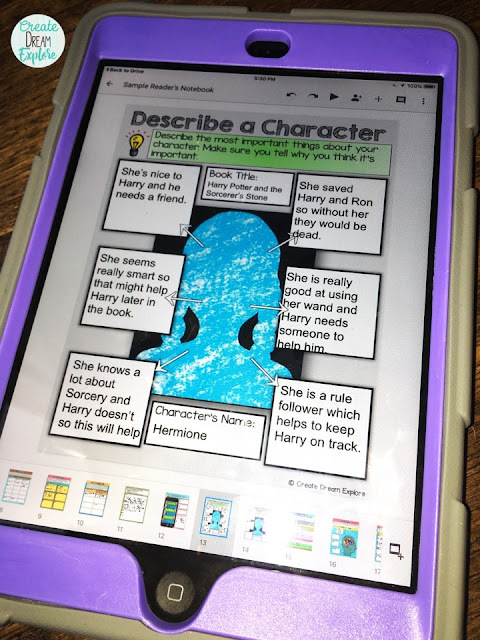 I simply added the digital reader's notebook to our Google Classroom and students can choose which page or prompt they want to work on. 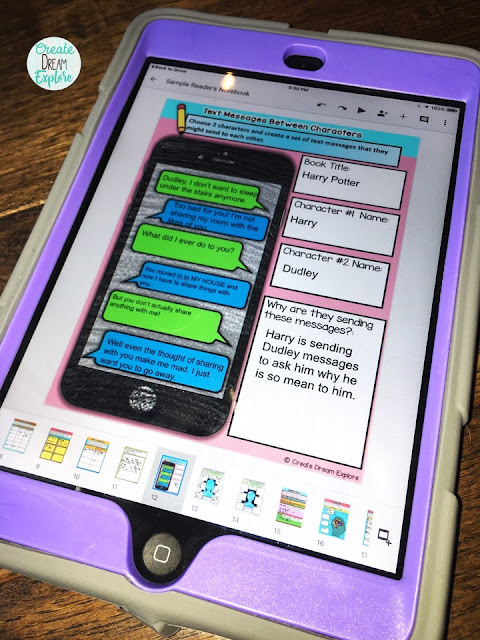 Sometimes they add their own pages and responses, sometimes they use the ones I have added and sometimes I assign specific pages depending on what we are working on in class. 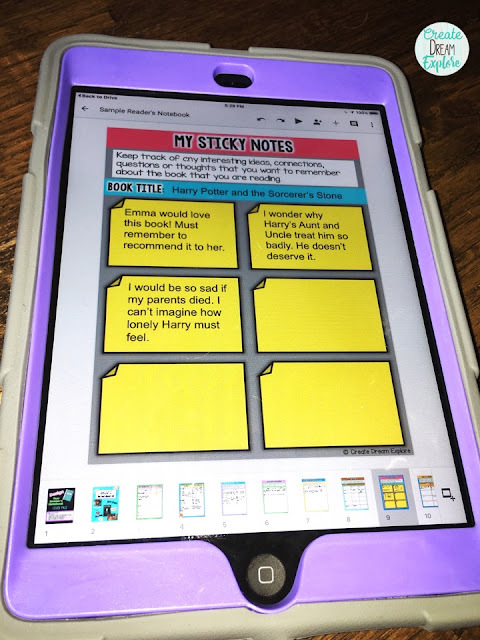 One of my favorite aspects of the digital notebook is that students have virtual sticky notes. We used to go through a ton of sticky notes...like we probably kept sticky note companies in business. 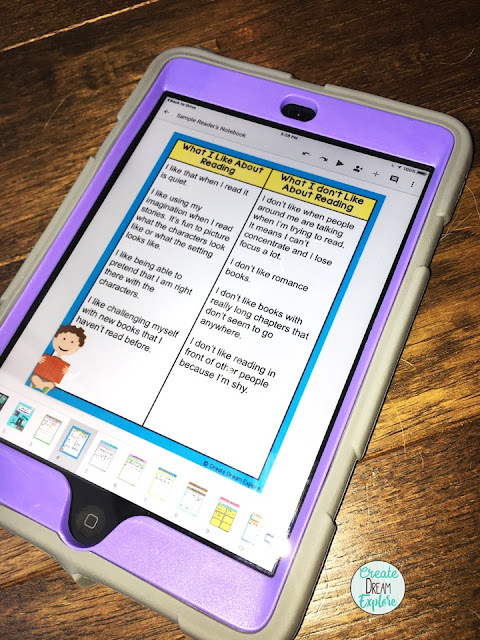 Then I created a page for them to record their thinking just like they would on a sticky note but instead it is a virtual one. 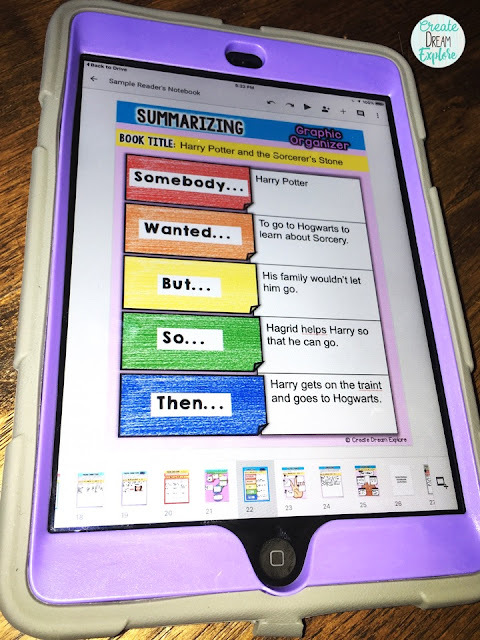 The best part is that they don't need to ask for more sticky notes, they just go to the master copy and copy the page and add it to their digital reader's notebook. 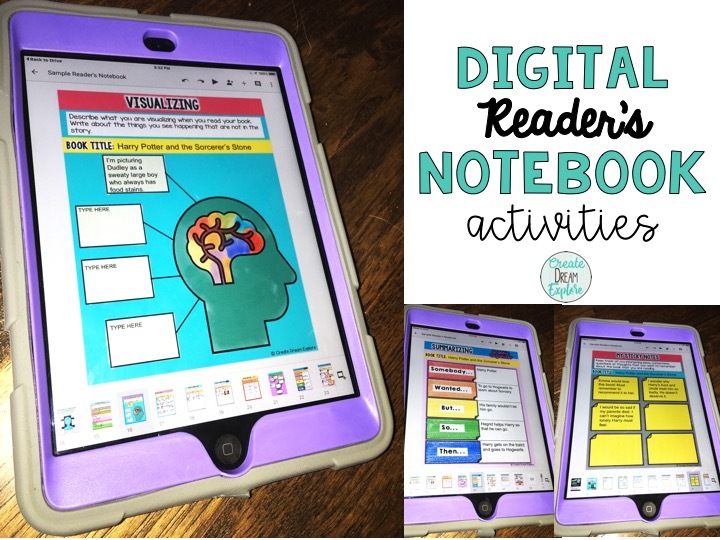 These are all activities than can be done in a paper reader's notebook as well but if you're trying to go paperless or use less paper a digital reader's notebook is a great simple option that is easy to implement. It's also nice not to have to lug those books home with me to mark! I can just login to my computer at home and check out what they're working on. 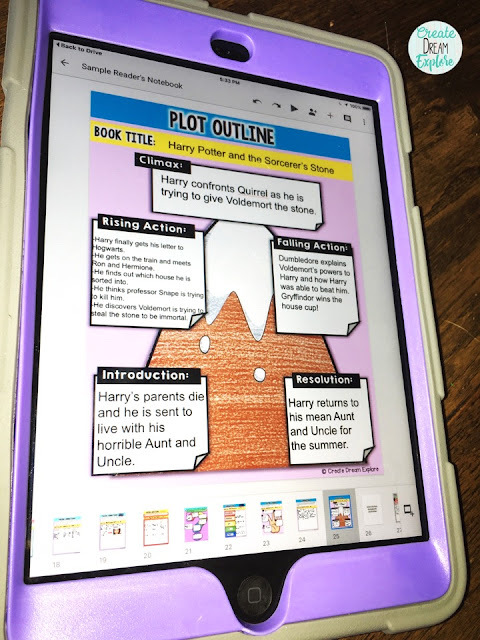 I can leave quick feedback as well throughout the school day by using the comment feature in Google Slides....so much quicker than having to leave a written response!